Wake Forest Law was ranked 21st in the list, which also included organizations such as Legal Times, LexisNexis, Law.com and Yale Law School. 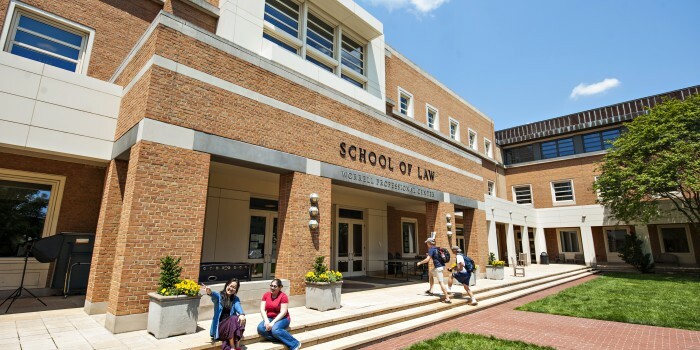 Wake Forest Law was also ranked more highly than the National Jurist, University of North Carolina School of Law and University of Pennsylvania law on this list, which included over 800 twitter accounts. Right Relevance aims to help users in finding experts in specified topical areas, using an algorithm that assigns a ranking to particular Twitter accounts based on its activity in a particular, extremely specific topic. One twitter account can have different rankings out of 100 in different topics. For example, Wake Forest Law received an 86 in the topic of law schools, an 89 for U.S. Law and an 84 for International Law. This helps the user find experts and influencers in a very specified area.